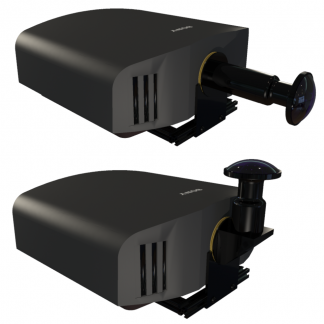 The 200 Series is our most popular line of projection systems – our 500th unit ships this summer! 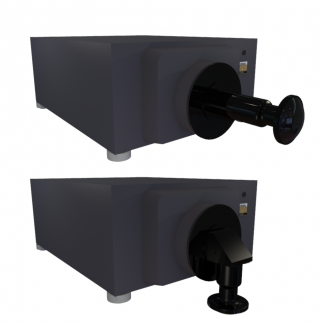 All systems are available with either a straight or folded lens accommodating a wide range of installation options. The “clip-on” design utilizes the native zoom capability of the stock projector lens. Resolutions range from 1920×1200 to 3840×2160. Brightness ranges from 6,0000 to 13,000 lumens. Learn more about each of the 200 Series systems below. An excellent entry level system with a 3-channel LCOS light engine for superior color saturation and the highest pixel fill factor. The system is easily converted from truncated to fulldome projection in the field. Replaceable dichroic filters return the systems to like-new performance even after 10,000 hours of operation. 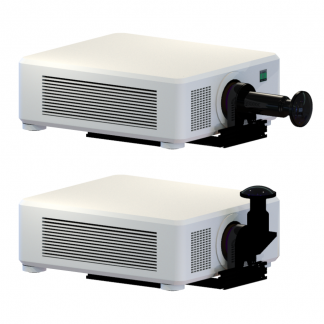 Upgrade your system’s brightness with this single-chip DLP projector, which features a laser light engine for 20,000 hours with no maintenance required. Active stereo capable. 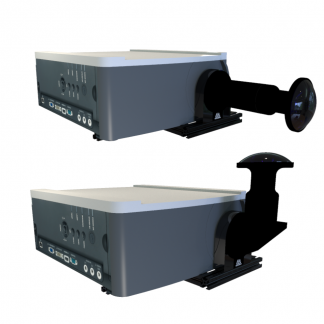 This 3-channel DLP laser light engine offers superior color saturation and 20,000 hour “lamp life”. It is the brightest in our 200 series and an excellent choice for active stereo installations.